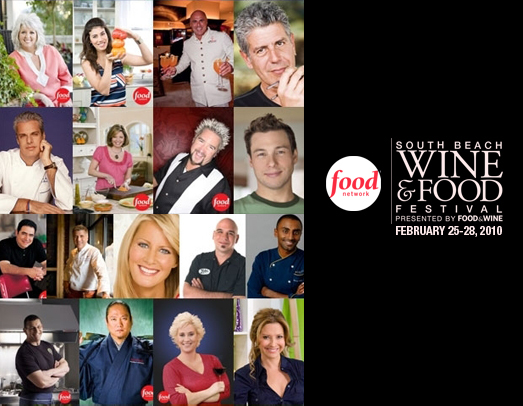 South Beach Food and Wine Festival Here I Come!! To all my dear friends form Miami, here I come!!!!!!! I need to change a little of this wintery New York weather for some sun, and what better place to do it that than in Miami Beach!! I’ll be doing two demos and launching my brand new book, “Daisy: Morning, Noon and Night”, so if you’re in the ‘hood, amke sure you stop by and have your copy signed by me. I’ll be doing Kids in the Kitchen on Saturday February 27th at 4:30 PM and a demo on Sunday February 28th I’ll be at The Whole Foods Market Grand Tasting Village cooking my little heart out! And remember, anyone who comments on this post is eligible to win a signed copy of “Daisy: Morning, Noon, and Night“. A winner will be randomly picked and announced on Thursday February 25th at 4PM (I’ll be picking names out of a hat!). Now if you’ll excuse me, I have some beachwear I have to pack! Good luck, babies!! For the next three weeks, I will be giving away a copy of my new book every Saturday – starting tomorrow – to one lucky winner. For this week’s contest, I will pose a question/recipe/comment and the 10th person to respond or post a comment will be the lucky winner. If selected as the winner, you will have to provide your full name, telephone number and address so we can mail you an autographed copy of the book. Please take a few minutes to go over the rules and guidelines for the contest that starts on SATURDAY, FEBRUARY 6, 2010. 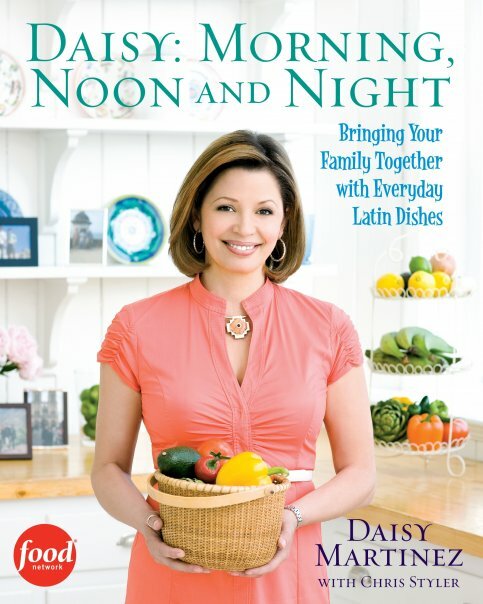 One (1) Boriqua Blog subscriber will be chosen to receive one autographed copy of the book DAISY: MORNING, NOON, AND NIGHT. The recipient will be announced on Sunday, February 7th, 2010 at 4pm EST. · To enter, you have to log-in to Boriqua Blog (www.boriquablog.wordpress.com) or sign-up for a free user account and leave one comment in the Official Entry by Daisy Martinez. The TENTH person to comment will be the official winner. · Contest open to US residents only. · To be eligible, entries must be completed and received by Sunday, February 7th, 2010 at 12pm. Boriqua Blog is not responsible for lost, misdirected, or delayed entries. Entries received by telephone, fax, courier, or personal delivery will not be accepted. Boriqua Blog reserves the right to amend the rules at any time for any reason. · The contest is open to US citizens 18 years old or older, as well as anyone currently subscribed to Boricua Blog. · ONLY one comment per subscriber is valid for each contest. · Boriqua Blog retains the rights to delete and deny the entrance to the contest to any rude, obscene, or inappropriate comments. · The prize is not redeemable in cash and must be accepted as awarded. · Decisions of the contest are final – no substitutions will be available.
. By claiming the prize, the winner authorizes the use, without additional compensation of his or her name and/or likeness and/or voice/photograph and municipality of residence for promotion and/or advertising purposes in any manner and in any medium (including without limitation, radio broadcasts, newspapers and other publications and in television or film releases, slides, videotape, distribution over the internet and picture date storage) which Boriqua Blog may deem appropriate. In accepting the prize, the winner acknowledges that Boriqua Blog may not be held liable for any loss, damages, or injury associated with accepting or using this prize(s). Boriqua Blog retains the rights, in its absolute and sole discretion, to make substitutions of equivalent kind or approximate value in the event of the unavailability of any prize or component of the prize for any reason whatsoever. 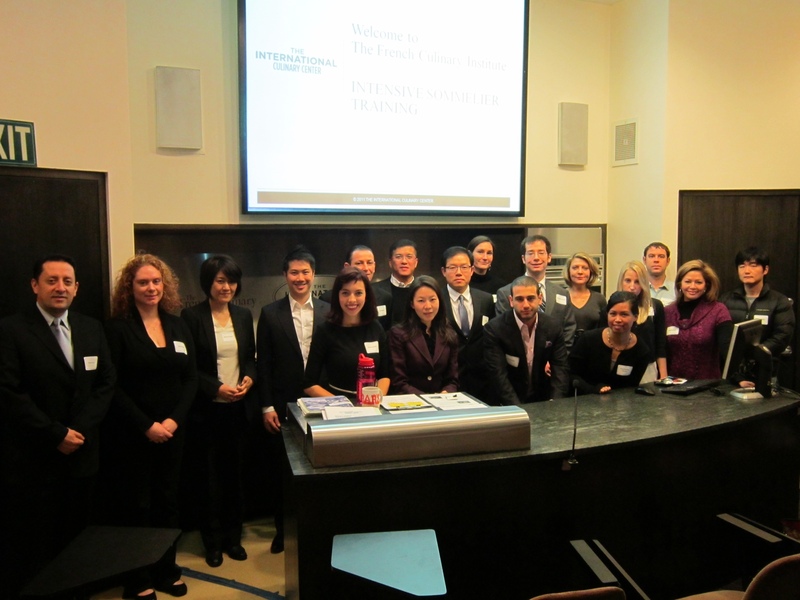 This contest is subject to all federal, provincial, and municipal laws. Boriqua Blog reserves the right to withdraw or terminate this contest at any time without prior notice. Hi Daisy, it was wonderful to have met you in Union Square this past weekend. I’ve met a lot of chefs that talk to me about different kinds of cooking and talk to me about cooking on Pink Himalayan salt stones. When I mention to my niece Jody about you, she was so surprised she said ” don’t you know who Daisy Martinez is”! Well I told her that I had just met you and was going to look you up on the net and on the Food Network.She was so excited that she almost burst.She told me that she has your book and how she cooks all of the Latino dishes. She – said my mom is Jewish and my dad is Puerto Rican and so is my Husband Raymond. 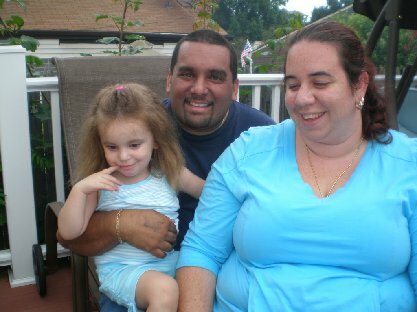 (photo of Jody, Raymond and daughter Alyssa, 2 yrs old) I love to cook great Latino dishes and Raymond loves to eat!!. lol She told me you have the greatest recipies and that she was going to teach me some from your book. All I could say was LET’S COOK!! I read that you are moving to the Food Network and are going to have your own show called VIVA DAISY! Some of the comments I read from your fans were so amazing I found myself feeling lucky to have met you. I want to wish you all the best of luck on VIVA DAISY! I’m sure you will be an asset to the Food Network. Looking forward to watching your new show. Perhaps I will see you again in the Union Square Greenmarket. Isn’t that block of Himalayan salt absolutely gorgeous? I saw chef and friend Fortunato Nicotra (Felidia) use them as serving pieces for his crudo course on Iron Chef America. Susan was generous enough to gift me with a beautiful sphere of the pink salt. I can’t wait to go back when I’m not working, to buy some of her pieces! Be sure to check out this great post on Daisy’s recent appearance at the French Culinary Institute at Food & Beverage Underground.